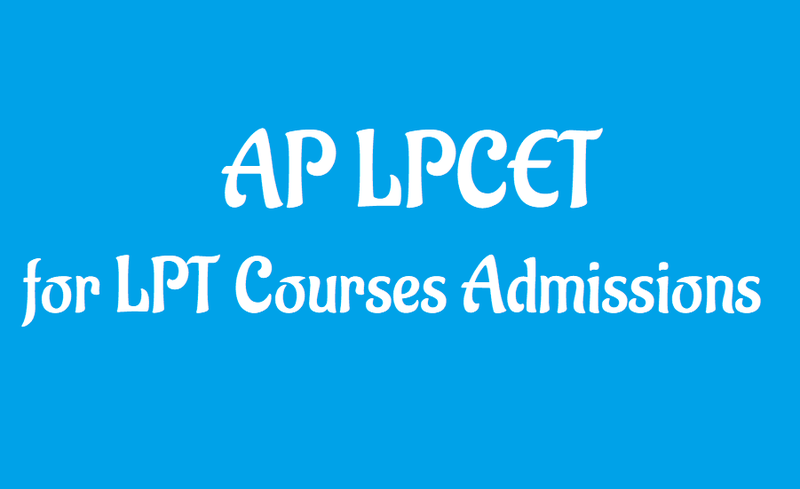 APLPCET 2019 Admission Schedule | LPT Courses Schedule of Admissions for the Academic Year 2019 | Andhra Pradesh Language Pandit Training Common Entrance Test(APLPTCET) 2019 Admission Schedule. Andhra Pradesh Language Pandit Training Common Entrance Test (APLPTCET) 2019 would be conducted by Directorate of School Education, Hyderabad. LPCET 2019 held in every year. This LPCET 2019 for admission into Telugu. Hindi, Urdu pandit training one year course in Government IASE, Government CTE and Private Language Pandit Training Colleges in state. The LPCET 2019 Results would be released by The Officials after completion of Entrance Exam. HPT /TPT /UPT courses are key for getting School HPT/TPT/UPT posts in the DSC recruitment and Model School Recruitment. LPCET 2019 Admission Schedule would be released by Director of School Education, Hyderabad. The Director of School Education issued Procedure for Submission of Preferences through Web Based Selection Form for Admission into LPT Courses. Language Pandit Training Courses Admissions in the Andhra Pradesh for the academic year 2019 will be made as per the rank obtained in LPCET 2019 through Web Based Selection of Colleges. 1. Online submission of preference of colleges through Web Based Selection. 3. Issue of Final Admission Letter after verification of certificates and payment of course fee at DIET of the district concerned on dates given on the Provisional Admission Letter.